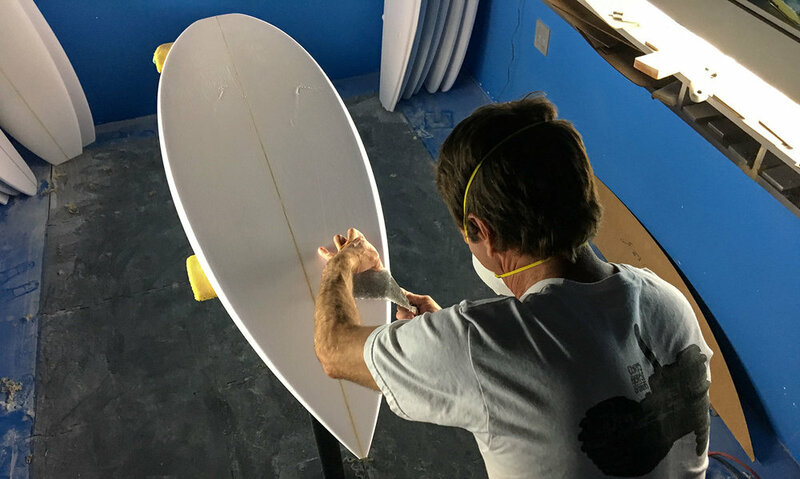 Established in 1989, Borst Designs is now one of the most advanced surfboard design and manufacturers in the world, producing over 1200 custom boards each year. From humble beginnings, Chris Borst started shaping surfboards from a shack he built in the backyard of his house in Mission Beach, CA. At the onset, like most backyard shapers, it was just a hobby, but his love of surfing and shaping turned out to be more of a passion than hobby. During the early 90s, Justin Postin and Jason Weatherly procured a job for Chris shaping boards at Rusty Surfboards where he remained for many years. While at Rusty, Chris had the opportunity to shape and design many different kinds of boards, developing a great mastery of the craft. Another of Chris' loves has been skateboarding. During the entire time that he was mastering his board shaping skills, he maintained his position as a professional vert skater for Powell Skateboards and Billabong/Hurley. Chris has been featured in many skate videos such as Powell Peralta's Animal Chin, Public Domain and Stripmall Heroes. Chris has since retired from competitive skateboarding and dedicated all his time to focus on Borst Designs and his shaping machine business. Check out Stab Magazine's article on Borst and Knox.